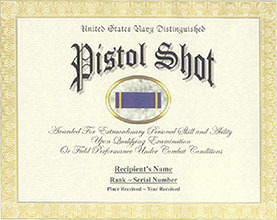 The Distinguished Pistol Shot Ribbon was established by the Secretary of the Navy in about 1952. 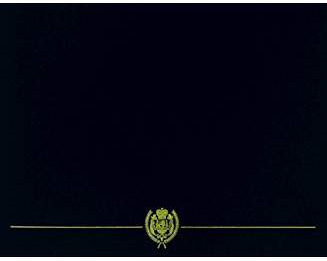 The Distinguished Pistol Shot Ribbon was in effect from about 1952 to July 13, 1959. The Distinguished Pistol Shot Ribbon was established to replace the Distinguished Marksman and Pistol Shot Ribbon to provide distinctive ribbons for rifle and pistol competitive marksmanship. The Distinguished Pistol Shot Ribbon was worn after the Distin-guished Marksman Ribbon and before the Expert Marksman Ribbon. No devices were authorized for this ribbon.